A group of 22 people visited our friendship town of Stampersgat from 14-17 May for the 45th anniversary of the link. Some new ‘younger’ people took part this year and below is an account of the trip from two of these first timers! After being invited into the Stampersgat friendship group, the planning began for our first trip. From knowing the history of how the link was formed by Ben’s Grandfather, we were very interested to be a part of something so special, especially with the group celebrating 45 years of friendship. On arrival in the village we met our hosts (who were new to the group also) and our adventure began. We felt immediately welcomed by our hosts. Our first night consisted of getting to know each other over drinks! 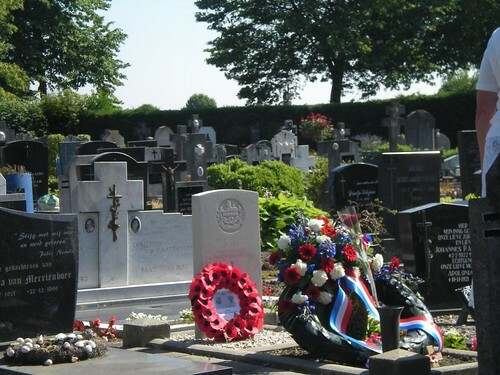 On Friday we paid our respects at the grave of fallen Corporal Dennis Lee and took time to remember all the soldiers from around the world, especially the Gloucestershire Regiment. It was a lovely opportunity to remember all those lives lost. Afterwards we were served light refreshments at the school in the village. They had on display, a selection of photos, newspaper articles and memorabilia commemorating the friendship link over the 45 years. The football club in Stampersgat put on a lovely lunch and more social chatter ensued. Afterwards we were lucky enough to explore surrounding towns with our hosts, such a beautiful insight into the area. Then it was time for the evening of entertainment we had prepared for our hosts….great food and great company. A great evening had by all!! The Saturday consisted of a day trip to Antwerp in Belgium which was very interesting. We were lucky enough to have a guide to explain all about the history of the city. On our return Ben and I were lucky enough to take part in the ‘Cheltenham Run’ which was 5km through the village of Stampersgat. The run takes place in the village every year and on hearing there were people from Cheltenham they asked a member of the friendship group to start the race. It was great to be able to take part in the race whilst being there. The community came out in force to support us all. In the evening we enjoyed a BBQ with all the newbies and it continued into the early hours. Our final day and time to say goodbye, even though we had only just met our hosts, they felt like family! We can’t wait to welcome our new friends to Cheltenham in 2017 and look forward to the next 45 years. 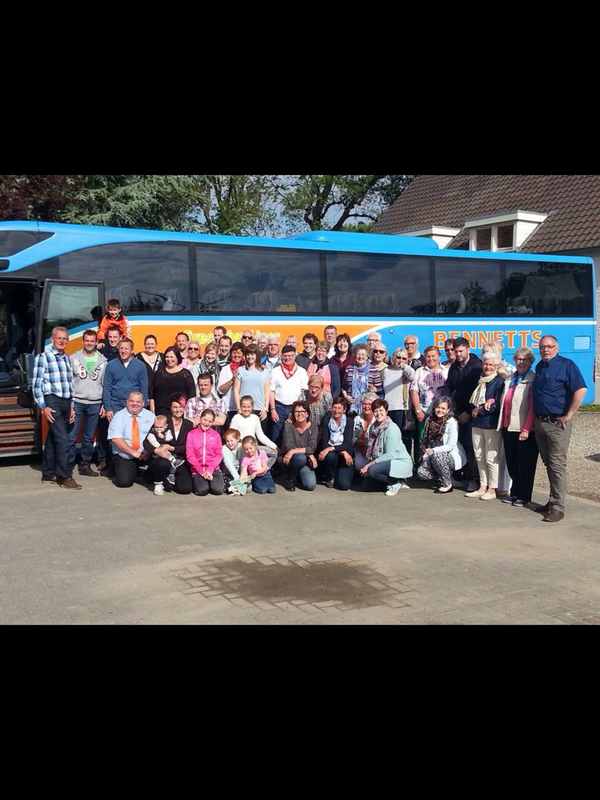 A group of 32 people including 4 of Cheltenham’s Aldermen, visited our Dutch friendship link town of Stampersgat from 2-5 June to mark the 40th anniversary of the first visit of a group of Stampersgat residents to Cheltenham in 1971. The link was established by the Gloucestershire Regiment who liberated this small town and where Corporal Dennis Lee is buried in the church there. Now organised by the Stampersgat / Cheltenham Friendship link committee, a programme of events was planned for the group, who all stayed with families. 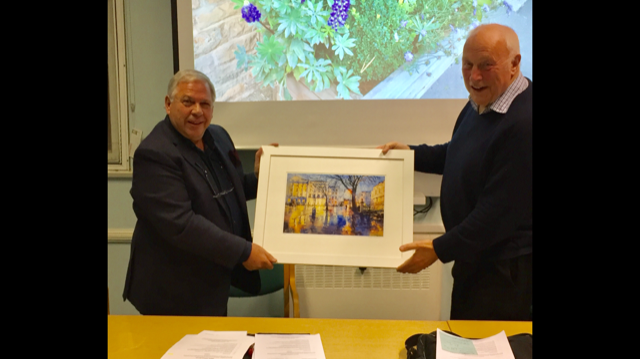 Cheltenham and Stampersgat residents will be getting together from 2-5 June to mark the 40th anniversary of the first visit of a group of Stampersgat residents to Cheltenham in 1971.